How High Does The Nation's Debt Go ? I will keep this short, because I want as many people in this country as possible to read this article. It is by no means the whole story, just the basics and cold hard facts, concerning the enslavement of your children. much it is, or that they and their children are collateral for the debt. the Nation constantly running deficits and living beyond its means. Well, obviously Hamilton won; true the nation progressed much faster in development operating off of credit, living beyond its means. However, thanks to the interest charged by the bankers, one of the most destructive forces known to man, second only to taxation, we are now a Nation of bankrupt financial slaves. The definition of fiat money is: "money composed of otherwise essentially valueless things that neither have a commercial use nor constitute a claim against anyone, but do have a special legal qualification. The money is not the material bearing the stamp as authority but the stamp alone." The point I want you to grasp is, our money has no value, only your faith that it will be accepted by someone else, for the value stamped on it. 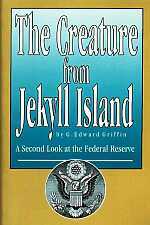 Also, read what it says on the title of the money, "federal reserve note", it's not even money, it has been declared by Congress as our legal tender, but so could a box of rocks, it is quasi money, acting as money. It is a note, an I owe you, which is evidence of a debt. Trillions of dollars are owed to the Bankers and World financiers. I ask you, would you take a note as payment of a debt, when you know it has no value? When you know that all the land held by the corporation U.S. Government and it's people's lands are yours since there is no way for the U.S. Government to pay the debt, nor was it ever the bankers intention for us to pay the debt. There is not enough paper money in the world, or collateral backing it, to pay the debt. Bankers will not accept fiat money as payment, to retire the debt owed them. They are using the debt to acquire the World through receivership, bankruptcy, to create their one world government. Unknown to Americans, bankruptcy (reorganization) has already taken place in this Country (1934), and now the debt has grown to such a large number, even the land and the financial slaves that are tenants on the land, cannot pay the debt. So what do the Bankers and the World financiers do? They use the USA and its people to conquer the rest of the World, through this fraudulent money system and an incredible propaganda machine that controls the public totally. This I'm sorry to say is where we find ourselves, sure there is much more to the this sorted history, but I'm dealing with just the money and debt created by interest, and the slavery that followed. What does this mean? Well, lets examine the debt and your share of it, all based on fraud of course. I remember growing up as a young man hearing the share of the National Debt was 40,000.00 per capita. That's forty thousand dollars, today it is far greater. I found some interesting facts and figures in the USA Today (October 4, 2004). Before I get to the stats published in the USA Today, I will have to get us to a multiplier, a common denominator that everyone can understand and relate to, so the final numbers will be relevant. I will start with some basic math, 1 bill, no matter the denomination measures .005, that is 5 thousandths of an inch. If you take 200 bills and multiply them by .005, it equals 1 inch. Still working towards a common denominator, lets make the bills 1000 dollar bills, to make our calculations easier, and come up with a multiplier everyone can understand, to get the full impact of USA Today's published numbers. 1 bill is .005" x 200 = 1"
multiplier, example: 1000 x 1000.00 = 1 million dollars. Ok, now we have the multiplier and common denominator of 1 trillion dollars, broken down mathematically in a way you can understand. The height of the bills laid flat on top of each other reached a height of 78.914 miles. Now we can multiply the stats USA Today published by the multiplier 78.914 miles, to see how high the U.S. Government debt goes and your share of it. mortgages etc., is 9.5 trillion which is an additional 749.683 miles high. The article goes on to tell us about the debt obligations of the U.S. Government, for social security, Medicare and government pensions which is owed now. A whopping 53 trillion dollars, based on the people alive now, that will draw at some point on the above systems, 53 Trillion dollars = 4182.442 miles high. Keep in mind, the paper fiat money will be worth less as time goes by, because the federal reserve has to keep printing more, which continual devalues all U.S. Dollars. That's why the price of everything keeps going up, it takes more of it to buy the same things. That's not all folks, no one is telling you about the corporate debt corporations owe Americans for pensions and the like, just as the federal government does, I think you get the picture. Now, lets look at the total. To better understand this amount of paper money, if this 5500.3058 mile stack of money was laid down flat, it would stretch from Miami Florida to Anchorage Alaska, with 245.3058 miles left over, or the distance would be like driving from the beach in North Carolina to the Los Angeles then back to North Carolina. Keep in mind that's 1 bill .005 thick times 200 bills making 1 inch, going across the country twice. This again does not include the corporate debt, or the interest on the 7.2 trillion National debt, which is increasing about 1 trillion a year and climbing. At to days current paper money value, again the more they print the more it will take to potentially pay the debt. As I said before, only someone ignorant of the facts would take fiat money for payment of the National debt, and the bankers aren't stupid. I'm sure you would say, hey, I pay my debts every week, using paper money. I would say: "I rest my case"; but you are wrong, thinking you pay your debts. Through the use of fiat paper money, you have been allowed to discharge your debt, to the glee of some. However, your labor is constantly devaluing, thanks to the devaluation of paper money as stated above. The money you are paid is worth less, so you have to work longer to make the same amount of fiat money, but at the same time the money you were paid buys less, you loose twice. Since fiat money has no real value, it is your labor the Bankers are after, slave. Sorry, but that is the reality. person owes. There are an estimated 294,714,833 people in the United States, so we can divided the debt into this number. USA Today reports their numbers by household. what a serious problem we are facing and the harm and enslavement we have passed to our children. I could stop here and be satisfied that I have passed on important information, and not face any retaliation by some that will read the below drastic changes that are needed to fix the above problem. I'm always asked via emails, what do we do to fix these problems, I've always made it clear that education is the key to freedom? To answer will draw visceral attacks and name calling by those that prefer the status quo and those that do damage control for the government, usually lawyers posing as patriots. We are at a time in history where Americans have to be made aware of these fundamental facts, and some how be shown their plight, truth does matter. Being a realist, I'm sure most Americans could care less about the above information, but I have to try. Most Americans only care about maintaining the status quo, but for those not self centered, with their heads buried in the sand and not afraid of debate, keep reading. Here are just a few things that need to be fixed, all be it a simplistic list. For starters, ask yourself who is the root cause for this mess. Look in the mirror, we are, by not giving a damn as Americans, when it comes to what our government is doing. Ok, no need in beating a dead horse, this being addressed you are now aware of your lack of knowledge and hopefully you will now work to educate yourself making up for your many years of neglect and self indulgence. Politicians. Corporations have influenced the political structure and operation of our government from its inception. I deal with this in another paper and since brevity is the soul of wit, I won't cover it again here. 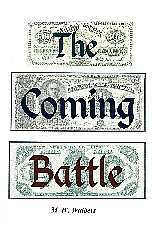 Post Civil War, the Bankers, Lawyers and Corporations were able to overcome the U.S. Constitution through conquest. Lawyers, through legalese made it possible to circumvent U.S. Laws. Then through support of the Bankers, Corporations and Media, Lawyers were able to take over key political positions, making the conquest of the World by our government, as the new Roman Empire much easier. The only way this problem can be fixed is the Public has to educated to this, which in itself is a huge task, since most Americans are oblivious to it, or do not have the political or moral will to change it. The Politicians are unwilling to remove the corporate special interest from Washington, since this is their life blood and connection to the money source. There are also political special interest, to list a few, ABA, DNC, RNC, ALCU and any other special interest you can think of, other than one, the American people. The Constitution would have to be amended prohibiting lobbyist in Washington, it is the job of Congress to hear from the American people, their constituents at home, no one else, period. Congress is not sent to Washington to increase their holdings. Lawyers would be prohibited from holding public office, as did the original 13th Amendment. Also, restricting life time appointments to only the Supreme Court, but also making it easier to remove a justice who refuses to follow the Constitution. Admiralty law would be driven back into the sea, any and all laws to the contrary would revert back to pre Congressional act of 1845. The District would be restricted to it's Constitutional boundaries pre 1791. All preexisting declarations of War and Emergency not current would be canceled, and the Country governed by Constitutional limitations. No longer would U.S. Citizenship be tied to debt or taxation, but be synonymous with freeman, no longer as a 14th Amendment legal fiction "person". The 14th Amendment would be repealed. The government would be trimmed in half as well as the needless laws created by years of legalese, rolling back Public Policy to the pre Civil War era, also reversing the social engineering experiments of 1934. Obviously the American public would have to be weaned off of these social programs, to do otherwise would bring about social unrest and needless anarchy. The restructuring of the social programs, would require reducing and reversing medical costs through price fixing, and strict control of frivolous malpractice law suits, while maintaining quality of the medical system. Strict laws would be put place and enforced dealing with fraud and mismanagement of public funds by government employees. Banking and Insurance laws would have to be reformed, returning control of these institutions to the states via the 10th Amendment, uniform guidelines would be set by Congress, complying with the Constitutional requirement to regulate commerce, to keep the laws uniform throughout the states. The reduction and restructuring of our military, closures of most overseas bases. attacked, overtly or covertly. We would pull out of the United Nations and the other One World Government organizations. start over with the new currency and banking regulations put in place, but with interest outlawed for U.S. Citizens. A set fee for a loan would be charged by lending institutions, to be paid over the life of the loan. The federal government would be required to balance its budget yearly, just as the states do. Any outstanding debt owed to foreign Nations would have to be re-negotiated through the state department, after the new banking regulations have been put in place, and the new currency is adopted, and put into circulation. American corporations not located in this country would be subject to the same tariffs paid by foreign countries. Corporations, their monopolies and trusts would be strictly regulated and not tax exempt, and would be the only legally defined fictional, "person". 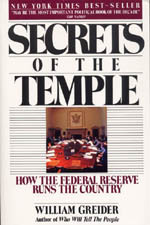 The federal reserve would be reorganized and controlled by U.S. Citizens, subject to audits like any corporation. New York City banks and the other financial institutions would be governed by U.S. Constitutional law, as administered by Congress, and the Constitutional courts. A moratorium on lawyers and the legal profession would be put into effect, along with guidelines and strict restrictions on their profession. Immigration would be strictly enforced, all illegal immigrates would be returned to their Countries. The alphabet agencies would be prohibited from violating the Constitution and personal rights, strict penalties, including extensive jail time would be given to violators. Below is a prophetic statement by Thomas Jefferson, concerning paper money, bankers and corporations. He was 100% correct, but the American people were and are too selfish to care, or listen. Is it too late America, are we doomed to die the same death as the Roman Empire?